Paul Brant Williger has over 30 years of Custom Residential Architecture experience, is a graduate of Columbia University's Graduate School of Architecture, and has been featured in many publications. Clive Dawson, A.I.A. Architecture and Planning was established in Malibu in 1981. We specialize in custom residential projects which include home estates, beach houses, remodels, additions, and multi-family. Our work reflects the diverse architectural styles requested by clients from many different countries and backgrounds. Clive Dawson is the Principal Architect, licensed in California C12309 and Hawaii AR-7784. Clive opened his office after relocating from London, where he worked for the Owen Luder Partnership designing projects in England, France, Saudi Arabia, Nigeria and Iran. Clive’s design work covers numerous different styles from classical to contemporary, having designed projects in 10 countries including Italy, Mexico, and Romania. Clive Dawson, A.I.A. is a full service architectural practice from initial design concept through completion of construction. Our office will coordinate with all consultants and governmental agencies to obtain required approvals, prepare and represent projects at public hearings, supervise construction bidding process through completion of construction, and specify interior finishes and design. Please visit our website at www.dawsonarchitects.com and feel free to contact us with any questions at architects@dawsonarchitects.com. We look forward to discussing your project. Established in 1993, EBTA is a Southern California-based architectural firm specializing in high-end custom residential projects. Our objective is to help people transform their dreams into realities. I have experience ranging from simple organization projects to gut renovations of entire homes. I believe that good design is not a luxury but an important component to enjoying everyday life! SweisKloss is a boutique architecture, interior design and construction firm based in Santa Monica, California. Offering a wide range of expertise from design and interiors to construction. Our design team fuse metropolitan necessities, such as storage, convenience, and multi-use spaces, with elements of technology, color, light and shape to compose beautiful and award winning interiors. DGA strives for timelessness as an ideal for all of our work. We value and welcome the diverse influences of culture, environment, and client objectives in our process. By straddling the line between architecture and construction, Alec has developed an understanding of fine detailing and an intimate knowledge of architectural concrete and its nuances. Dsign Visual drafts and renders interior design projects by communicating directly with the client to streamline their vision through visual communication. d’Arcy and Associates Architecture, Inc. is a full service, recognized Southern California based, architectural firm specializing in custom residential and commercial projects. Tracy A. Stone Architect is a full-service architectural firm emphasizing sustainable design in a modernist context. Our goal is the creation of honest and durable structures. Full service Architecture firm since 1988. 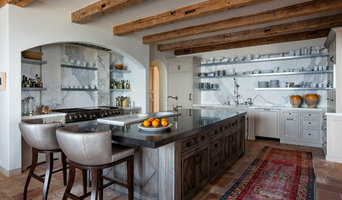 Richard Manion Architecture creates distinctive residences and renovations with a respect for traditional forms and historic imagery adapted to modern living. Ashofteh started his solo career in 1993. Each project is designed with a purpose: to go beyond the essence of shelter into the realms of timeless forms and spaces. With nearly twenty years of experience in the profession, Ms. Morrison opened the doors of Lauri Morrison Architecture in 2012. Lauri continues to work on luxury custom homes and commercial projects. How do I find the best Malibu architect for my home design project? It is best to hire a home architect who will be involved in all phases of the design process, from the initial concept to the completed construction. The architect is often the first person you will hire for your project. If necessary, they might also help you select and hire California subcontractors, which can include the builders, engineers and landscaper. Interior architects are also involved in negotiating contracts for all involved participants. It is for these reasons that it is extremely important for you to have a good relationship with the Malibu residential architect you hire. He or she can be the tie-breaking vote between you and the general contractor and can be your biggest advocate during the construction process. Different architecture firms in Malibu, CA provide different services, so the scope of the work can span from pre-design environmental impact studies to selecting furniture and finishes, depending on what your specific needs are. It is very important to hire the right professional for the job. Remember that the most well-known or established designer might not provide the best architectural services for your needs. It all comes down to the individual project. Research and ask people whose work you like for recommendations. It's important to have somewhat of an idea of the style of house architecture that you prefer, as well as the amount you would like to spend. Residential architects in Malibu, CA are natural problem solvers. They will assess the entire situation and help you to solve your problems too. Don't settle for a single company too early. Call and interview a few. Make sure that you feel like your personalities will mesh well and that you like their professional perspective. Find a home architect in Malibu, CA on Houzz. Narrow your search in the Professionals section of the website to Malibu architects. You may also look through photos of California projects to find interior architects and building designers who have worked on a project similar to yours.